The agency first enacted the ban a year ago, but that emergency ban was set to expire last Thursday. The DEA published the extension in the federal register that same day. The extension continues the ban on five synthetic cannabinoids: JWH-018, JWH-073, JWH-200, CP-47,497 (that's all one chemical CP-47,497) and cannabicyclohexanol. The ban means those substances are treated as Schedule I drugs under federal law. "Schedule 1 substances are reserved for those substances with a high potential for abuse, no currently accepted medical use in treatment in the United States and a lack of accepted safety for use of the drug under medical supervision," the DEA reminded in a press release last Wednesday. The American Association of Poison Control Centers reported last month that after synthetic marijuana products first appeared on their radar in 2009, generating several hundred calls, the number jumped to 2,906 calls in 2010 and 6,956 last year. Their data also showed that the number of calls peaked in July 2011 at 705 and have declined since then, with 551 calls reported in December. The poison centers and emergency room doctors have reported such symptoms as disorientation, elevated heart rates, and vomiting, similar to those reported from adverse reactions to marijuana. There are no confirmed reports of overdose deaths, and only a handful of deaths potentially linked to synthetic marijuana, including a trio of suicides after use, a young man killed in a traffic accident while driving after use, and a 13-year-old Pennsylvania boy who smoked synthetic weed out of a plastic Pez dispenser and later died of complications from a lung transplant. "We continue to address the problems of synthetic drug manufacturing, trafficking, and abuse. Our efforts have clearly shown that these chemicals present an imminent threat to public safety," said DEA Administrator Michele M. Leonhart. "This six month extension is critical and gives us the time necessary to conduct the administrative scheduling process for permanent control. A number of states have and localities have already banned synthetic marijuana, and more are moving to do so this year. Federal legislation that would ban both synthetic marijuana and new synthetic stimulants ("bath salts") has passed the House, but is being blocked in the Senate by a hold placed on it by Sen. Rand Paul (R-KY). This week, the Drug Policy Alliance (DPA) joined the American Civil Liberties Union, NAACP and nearly 40 other organizations on a letter to members of the Senate urging them to oppose the legislation. In a separate press release, DPA urged Congress to not just reject the synthetic drug legislation but also overhaul US drug policy, pointing out that last year marked the 40th Anniversary of President Nixon declaring a war on drugs, and despite the government arresting tens of millions of nonviolent Americans and spending more than a trillion dollars, drugs are cheap, potent, and readily available in every community. "Senator Rand Paul is standing up to both political parties and doing what it takes to protect Kentucky taxpayers from the career politicians in Washington who want to waste more money on failed drug policies," said Bill Piper, DPA director of national affairs. "He should be applauded for opposing government waste and supporting public safety. The failed war on drugs costs too much and achieves too little; it is time for a new approach." Confronted with the rising popularity of new synthetic drugs, Congress is responding in a reflexive prohibitionist manner. Last month, bills aimed at banning the substances moved forward in Congress, despite the protests of advocates and businessmen that lawmakers are simply repeating the mistakes of drug prohibition. The bills are aimed at two distinct classes of designer drugs -- synthetic cannabinoids or fake marijuana sold under names such as Spice and K2, and the synthetic methcathinone derivatives mephedrone and MDVP commonly sold as "bath salts" under names such as Ivory Wave that produce a high likened to those of cocaine, methamphetamine, or ecstasy. A number of states have moved against fake weed or bath salts or both. In action earlier this year, the DEA imposed a temporary emergency ban on fake weed, but it has not moved yet against bath salts. Now, Congress is poised to get in on the action. H.R. 1254, the Synthetic Drug Control Act of 2011 and its Senate companion bill, S. 605 would make both fake marijuana and bath salts Schedule I controlled substances, like LSD, heroin, and marijuana. They also attempt to block new designer drugs by banning whole classes of similar chemical compounds. And they seek to expand the period for which the DEA can impose an emergency ban on a new drug, which the agency did earlier this year with synthetic cannabinoids. That bill was moving in House committees last week. The bath salts drugs have been associated with spectacular bad reactions, including increased blood pressure, increased heart rate, agitation, hallucinations, extreme paranoia and delusions, and some reports of violent behavior. Fake weed has been associated with less dangerous bad reactions, including confusion, nausea and panic attacks. The American Association of Poison Control Centers warned in May that it had seen a nine-fold increase in bath salts-related calls over the previous year, and that was with less than half the year gone. Last year, centers reported 302 calls; as of May of this year, they had received more than 2,200 calls. That would clearly seem to suggest that use of bath salts is on the rise, but what it means beyond that is not so clear. Without a handle on actual use levels, it is difficult to determine how frequent such adverse reactions are, or how they compare to reported adverse events with other drugs. Still, Mark Ryan, director of the Louisiana Poison Center, said the substances are the worst he has seen in 20 years at the poison center. "These products create a very severe paranoia that we believe could cause users to harm themselves or others," he said. Oddly enough, for drugs that are touted as being so horrible, evidence from Britain suggests that somebody likes them quite a bit. According to a report last month in the Guardian, which cited recently released scientific research, "Mephedrone is more popular among UK clubbers than ecstasy despite being banned." "The legal status wasn't considered important," said Fiona Measham, a criminology lecturer who led the research. "Among the people we spoke to, I was surprised how much they liked it, how much they enjoyed it. They wanted to take more and were prepared to seek it out and buy it on the illegal market." But Congress isn't paying attention to foreign researchers. In a statement typical of congressional discourse on the issue, in a hearing last week, Rep. Charles Dent (R-PA), the sponsor of HB 1254, first listed a number of anecdotal scare stories, then proceeded to warn his colleagues that the drugs were not innocent. "These substances are marketed with innocent sounding names," he said, "but these labels are total misnomers designed to facilitate their legal sale. These drugs have no legitimate medicinal or industrial purposes." "We are in a new era of drugs," said Sen. Diane Feinstein (D-CA), as she prepared to deal with them with the same tired approach Congress has taken with other drugs -- by banning them. There is a better way, said reform advocates and representative of trade groups. "Lawmakers are poised to repeat mistakes from the past by creating ineffective laws that will criminalize more people and drive these substances into the illicit market," said Grant Smith, federal policy coordinator with the Drug Policy Alliance. "History has clearly shown that prohibiting a drug makes it more dangerous, not less. Instead of more failed drug prohibition, Congress would be much more successful with an approach that restricts how these drugs are marketed, provides comprehensive drug education, and has strict age controls. To best reduce the harms of these drugs, Congress should instead support rigorous scientific study to better understand what is in these products, and establish a robust system of regulation and control of the synthetic drug market." "This application of the law is irresponsible," said Daniel Francis, executive director of the Retail Compliance Association, which represents retail outlets that sell (or sold) K2 as he addressed HB 1264. "It is the most irresponsible thing a lawmaker can do, an act of prohibition. I hope they wear the responsibility of the consequences of these acts on their minds forever. This law will force even less understood compounds into the market." "This legislation comes at a time when Washington is seeking to reduce federal spending. Yet, enforcing a federal ban on synthetic drugs isn't going to be cheap and we already know from marijuana prohibition that this approach won't work," said Smith. 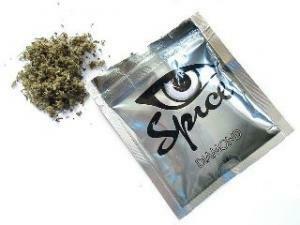 "The irony is that the only reason that people use synthetic marijuana is because the real thing is illegal. But passage of this legislation will only further escalate the war on drugs, send more people to jail, exacerbate health harms, and ignore four decades of comprehensive research and review that confirms the war on drugs approach has failed," he added. "The bill covers some potential ingredients in herbal incense products, by no means all, and these ingredients are invisible, no one, no police officer, or retailer can tell what is in the product, if it is legal or not, and this law provides no direction whatsoever in how one is to determine this," pointed out Francis. The Retail Compliance Association, which sent a letter of concern to Congress about the issue in April, expects that its efforts to block passage of HB 1264 this year will be in vain. But that doesn't mean it is rolling over and playing dead. Instead, the group said it is forming a coalition to file a legal challenge to the bill "immediately after it passes." It has taken decades to get past the hysteria and fear-mongering surrounding traditional drugs, and that is a task that is by no means completed. It would be nice if we didn't have to go through the same sort of rigmarole with these new designer drugs, but we do. At least this time around, there are people around from the beginning who and willing to stand and fight. David Sirota, author of the best-selling books Hostile Takeover and The Uprising, believes our society is drunk off of alcohol propaganda we've had trouble separating fact from fiction. DENVER -- A national marijuana advocacy organization is calling on U.S. Rep. Lamar Smith (R-TX) to explain why he is speaking out against marijuana and accusing the current administration of encouraging its use when he is in fact receiving money from the alcohol industry, which produces, distributes and promotes a far more harmful substance. Late last week, revelations that the alcohol industry is funding the campaign to defeat a marijuana legalization initiative in California resulted in a number of headlines nationwide and sparked outrage amongst supporters of marijuana policy reform. See <http://www.huffingtonpost.com/2010/09/21/this-buds-not-for-you-bee_n_732901.html?ref=fb&src=sp for the whole story. "The administration is clearly sending the message that they don't think it's bad to use marijuana," Smith said on Fox News. "So they're encouraging the use of marijuana. And that simply is not a good thing to do." See: http://thehill.com/blogs/blog-briefing-room/news/120035-top-republican-obama-administration-encouraging-use-of-marijuana for the whole story. "Marijuana is becoming more acceptable and the alcohol industry is defending its turf," said Mason Tvert, executive director of Safer Alternative For Enjoyable Recreation (SAFER), a non-profit organization that highlights the relative safety of marijuana compared to alcohol. "The booze industry and its good friends in Washington recognize that marijuana legalization is imminent and it is fighting to maintain alcohol's status as the only legal intoxicant. This, despite the fact that it is far more harmful than marijuana to the user and society." SAFER and marijuana reform supporters nationwide are now calling on the congressman to explain his opposition to marijuana in light of his acceptance of campaign contributions from the alcohol industry. According to OpenSecrets.org, his current campaign has received at least $20,000 from the beer, wine, and liquor industry, including a $10,000 donation from the National Beer Wholesalers Association, a $5,000 contribution from the Wine and Spirits Wholesalers of America, and $5,000 from Constellation Brands Premium Wine and Spirits Company. "For Rep. Smith to accept money from the alcohol industry and then work to stifle that industry's competition is unethical and hypocritical," Tvert said. "It's time he explained his reason for preferring adults use alcohol -- a substance whose use alone kills more than 30,000 Americans per year -- instead of marijuana, which has never resulted in a single death in history. "Unlike marijuana, alcohol use contributes to domestic violence, sexual assaults, and other serious problems," Tvert said. "If Rep.
Smith is so concerned about public safety, why is he helping Big Alcohol drive Americans to drink? He should be thrilled that more Americans are making the rational, safer choice to use marijuana instead of alcohol when they relax and recreate." The alcohol industry is now working hand-in-hand with the law enforcement community to keep marijuana illegal. For example, the California Police Chiefs Association has given at least $30,000 to the “No on Proposition 19” campaign, while the California Narcotics Officers’ Association has chipped in $20,500 of its own. This partnership underscores the hypocrisy among law enforcement officials opposed to Prop. 19. “In their campaign to defeat Proposition 19, members of law enforcement and the alcohol industry have joined together under an umbrella group calling themselves ‘Public Safety First.’ Sadly, by fighting to keep marijuana illegal and steering adults toward alcohol instead, they are putting public safety last,” said Fox. Marijuana prohibition's days are numbered. Only 17% of those polled said that marijuana is the more dangerous than alcohol. A majority of respondents (65 percent) said that they believed that marijuana would be legal in the United States within ten years. LAS VEGAS, NEVADA — Nevadans for Sensible Marijuana Laws (NSML) is releasing the following statement in the wake of the announcement that University of Nevada, Las Vegas (UNLV) basketball player Matt Shaw has been suspended for one year — ending his career with the team — because of one positive test for marijuana. Shaw, fourth on the team in scoring last year, tested positive during a random drug test administered during the recent NCAA tournament. Nevadans for Sensible Marijuana Laws is a ballot advocacy group formed in Nevada to support a 2012 ballot initiative to tax and regulate marijuana like alcohol in the state. Please take a second to become a fan of the Women's Marijuana Movement on Facebook -- http://www.Facebook.com/womensmovement -- and encourage your friends to do so, as well. The WMM will be launched next week, so the more fans it has, the bigger the launch will be. The WMM will work to change the perception of marijuana in our society and help all Americans understand that marijuana is a safer recreational alternative to alcohol. We hope you'll support this effort by signing on and encouraging others to do the same. Free "Marijuana is Safer" download available now! "Marijuana is Safer" is now available for FREE at Scribd.com! This offer ends at midnight (ET) tonight, so don't delay! Enjoy the book -- and please be sure to circulate it to friends and relatives who need a little education about the relative safety of marijuana compared to alcohol. Get Marijuana is Safer for FREE on 4/20! As the title implies, Marijuana is Safer was written to educate the public about the relative harms of marijuana and alcohol. In the book, the authors encourage readers to talk to others about this issue. They even encourage readers to pass the book along to someone who needs it once they are finished reading it. Well, now it is going to be even easier to pass the book along. Tomorrow, April 20th (4/20), from 7 a.m. to 11:59 p.m. ET, the authors and publisher of Marijuana is Safer: So why are we driving people to drink? are making the book available for FREE. You will be able to download a PDF of the entire book via Scribd.com, which you will then be able to forward to as many people as you would like. If you'd like to get Marijuana is Safer for FREE tomorrow, just click the button below -- or visit http://www.marijuanabookbomb.com -- and enter your e-mail at the bottom of the form. We will then send you a reminder about the giveaway tomorrow morning. We also encourage you to spread the word about this great opportunity!